I am itching for spring and am already planning my garden! I just place an order for a variety of organic seeds (kale, cucumber, snap peas, lettuces, spinach and so much more) and can't wait to get started! Although, given the look of my garden today, I have a while before I can actually plant! 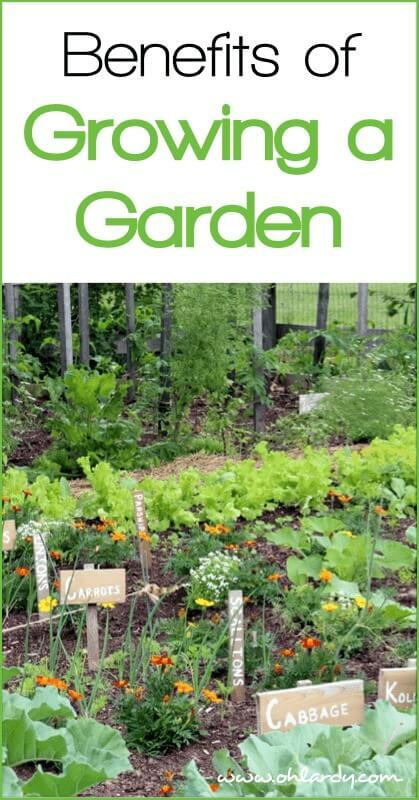 Do you have a vegetable garden? Even a small container garden? I recently had the pleasure of listening to Jeanne Nolan, The Organic Gardener, speak at a workshop on school gardens. She was so passionate, so descriptive, so interesting to listen to that I purchased her book, From the Ground Up, on my Amazon app while she spoke! The book weaves biography with gardening, following Jeanne as she grows up in an affluent suburb of Chicago, leaves to spend 17 years on a farming commune and comes back home and uses what she has learned to change the Chicago area forever, with rooftop gardens, school gardens, suburban gardens even a teaching garden at the Lincoln Park Zoo. The book is filled with more than just gardening tips. But, today I want to share with you a a list of 10 reasons to start a garden. Hopefully this will inspire you to start a garden of your own! 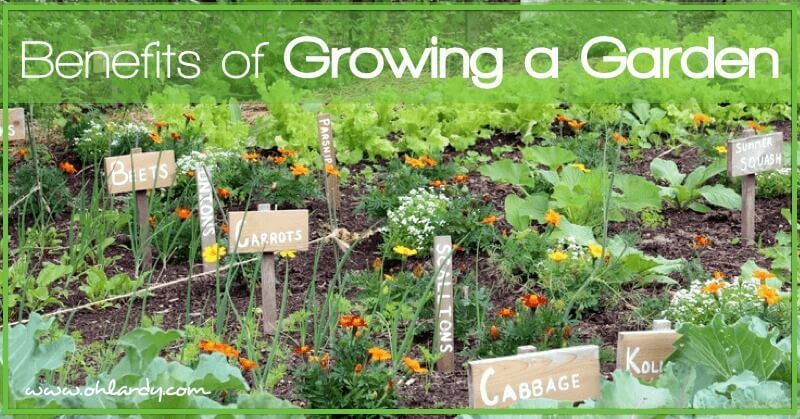 There are so many benefits to having a food garden in your backyard, on your patio (yes – homesteading in an apartment is possible), in your neighborhood and at your school. Once you read this list, you will want to run out and plant some tomatoes for sure! More nutrient-dense than conventional produce, home grown fruits and vegetables can improve the eating habits of adults and children and help prevent diabetes, obesity and some cancers. The Journal of American Dietetic Association found that children more than doubled their overall fruit and vegetable consumption after their parents grew a food garden in their yard. Homegrown, fresh-picked vegetables, herbs and fruit offer and unparalleled taste experience: juicy, crisp, with a great depth of flavor and intensity. Foodborne illnesses such as salmonella and E. coli are routinely found on produce grown on industrial farms. In 2006, spinach tainted with E. coli from cow manure on industrial farms in California sickened hundreds of Americans and took five lives. There is no safer source of food than your own backyard. Working in a garden is an antidote to the sedentary, indoor lifestyles that are becoming increasingly prevalent in a technology-driven world. The joy of physical activity in a natural setting to produce something tangible is not only good for your body but fulfilling to the spirit. Gardening helps overstimulated and hyperactive kids focus and perform better academically. A 2004 report from the University of Illinois at Urbana-Champaign found that green outdoor settings, including gardening, reduced symptoms of ADHD in the more than four hundred kids in the study. The equivalent of about four hundred gallons of oil is used annually to feed each American. This accounts for the energy that flows into petrochemical pesticides and fertilizers as well as for farming machinery, irrigation, food processing and distribution. By comparison, an organic food garden can have a zero-carbon footprint or even a positive climate impact, due to the absorption of carbon dioxide by its leafy plants. Gardens can considerably reduce grocery bills. A recent National Gardening Association study found that the average family with a vegetable garden spends just seventy dollars a year on it and grows an estimated six hundred dollars' worth of vegetables. Growing food brings families together in the garden and at the table. The tending and harvesting rituals slow down one's lifestyle and encourage more home-cooked meals. Gardens can also be social magnets that get neighbors talking over the fence, connecting families to their communities. Dirt makes you feel good. A 2007 study from the University of Bristol in England showed that when injected in mice, a specific soil bacterium, Mycobacterium vaccae, targets immune cells that release chemicals, which, in turn, stimulate the serotonin-releasing neruons in the brain – the very same neurons activated by Prozac and other antidepressants. Growing food offers an accessible way to connect with the natural world. The basic lesson that when we take care of the earth, the earth takes care of us is learned hands on. I certainly want my kids to be computer literate, but I also want them to be exposed to the wonders of plant growth and natural ecosystems. Pretty powerful, isn't it? Growing a garden is about so much more than just food. It is about enriching your family, your community, your mind, your body. Why do you like to garden? Jeanne Nolan has been growing food organically for over 20 years. She is the founder of The Organic Gardener Ltd. and a well-known educator, author, and consultant. Jeanne has helped hundreds of families develop gardens that are beautiful, productive, and uniquely suited to their homes and lifestyles. She also works extensively with schools, restaurants, not-for-profit organizations, and other institutions. In 2005, Jeanne began her partnership with Green City Market, under whose auspices she designed, installed, and maintains the Edible Gardens, a 5,000-square-foot vegetable garden for children at the Lincoln Park Zoo. She has been featured in Food & Wine, Woman's Day,Shape, The Chicago Tribune, Parade, and other national publications. Jeanne frequently lectures on the key steps to success in organic vegetable gardening, inspiring both novice and experienced gardeners. 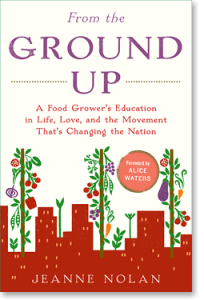 Her book, From The Ground Up: A Food Grower's Education in Life, Love and the Movement That's Changing the Nation, is an inspiring story for everyone who's ever dreamed of growing the food they eat. First addition is forthcoming from Random House on July 16th, 2013. Great article. So glad for Nolan and others who are bringing children and gardening together. Hello Kelly, I loved your blog. I was searching some nice tips for my colorful garden. I like your color theory for my new garden. Thanks for sharing your experience and tips. Great article! Gardening is an amazing experience. It’s also a great way to teach children that nothing in life is free. Working in the garden is not just work, it’s also a play for them. But it’s a play, through which they learn patience and persistence. And the look on their faces when they see the first tiny plant peeking through the soil is priceless. That’s my favourite reason to start a garden. I love how you point out that growing food brings families together in the garden and at the table. My husband and I have been wanting to start a garden so that we can have something to work on together. We should probably talk to a professional about getting a sprinkler system installed so that we don’t have to worry about watering on our own. Hello Kelly, i really enjoyed your post. We as a family regulary get out into the vegetable garden and get busy- it helps putting the kids to bed at night as an added bonus! Fantastic article! Gardening is an amazing experience. It’s also a great way to teach children that nothing in life is free. Good article on reasons to start a garden. As the start of organic gardening also needs tools so to get knowledge about the tools needed you should visit the website.